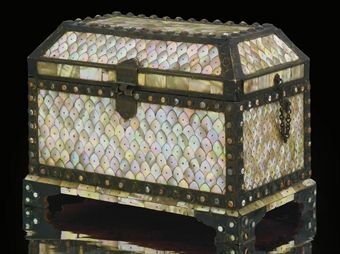 LONDON.- Christie’s Art of the Islamic and Indian Worlds sale on Tuesday 31 March 2009 features over 200 works, rich in decorative beauty, rarity and academic importance and spanning a wide range of geographical areas, materials and time. 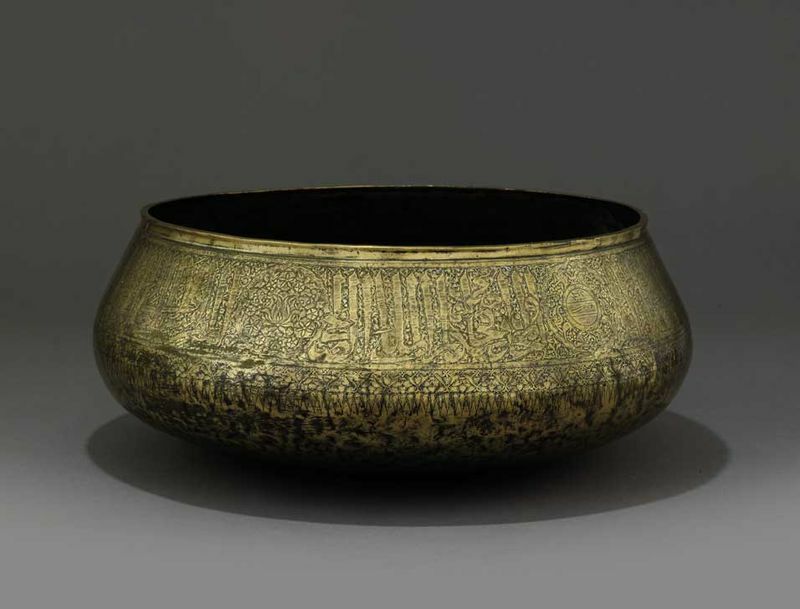 Leading the sale is a 14th century Mamluk silver and gold inlaid large brass bowl, made for the Amir Qaja, the Master of the Hunt of the Sultan Al-Malik Al-Salih Al-Salih (1351-54 AD) (estimate: £80,000-120,000), and the earliest known Iznik bottle: an early 16th century blue and white pottery bottle base, which comes from Ottoman Turkey (estimate: £80,000-120,000). Amongst the exquisite array of calligraphy, Part II of The Library of The Late Djafar Ghazi will be offered; this follows the notable success in October 2008 of Part I which realised £1,080,650. Other media featured includes ceramics, metalwork, textiles, jewellery and miniatures with estimates ranging from £1,500 to £150,000. 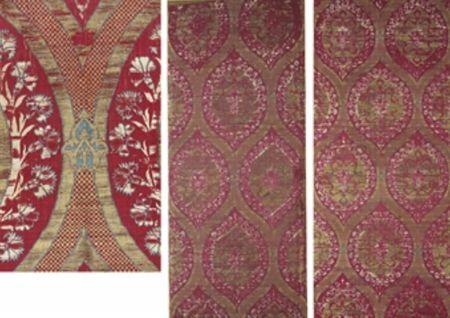 This sale is followed, on Thursday, 2 April, by the auction of Oriental and European Rugs & Carpets and by Christie’s South Kensington’s sale of Indian and Islamic Works of Art and Textiles on Friday 3 April. Calligraphy has always been one of the great strengths of Islamic Art, and is now increasingly gaining recognition and appreciation. The library of the late Djafar Ghazi is a collection of manuscripts and calligraphy by the very best Persian and Turkish calligraphers (Ottoman, Timurid, Safavid and Qajar), many of which were specifically commissioned for Sultans, Shahs and Amirs in their gilded palaces. 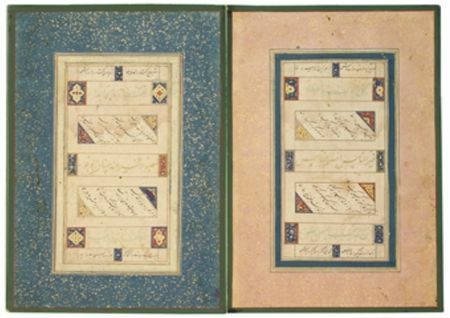 A central work offered from Part II of the library is The Forty Sayings of The Prophet with Persian translation by Jami, copied by one of the masters of calligraphy Sultan Ali Mashhadi, dating to the 15th century (estimate: £15,000-20,000). This very attractive manuscript, with delicately coloured gold-speckled margins, is thought to be the earliest copy of the work with Jami’s translation. 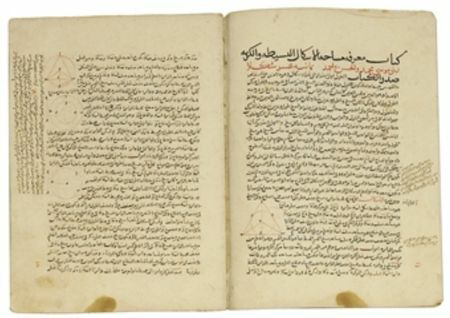 A physical, 13th century, Iranian demonstration of Classical Greek science fusing with that of the Islamic world is found in Majmu’at Al-Mutawassitat, an Arabic compendium compiled and edited by the great scientist Nasr al-Din Tusi, which mixes Greek and Arabic treatises on astronomy and geometry. This manuscript, signed Muhammad bin Al-Hussein Al-Awsi, was written in Shiraz in 1293 AD, indirectly copied from an original owned by Nasr al-Din Tusi himself (estimate: £40,000-60,000). Written two years earlier, a further manuscript of great academic significance from the collection is the Ibtidia-Nama - this is the earliest known copy of a work on the Mawlawiyya order of dervishes founded by his father the great Jalal al-Din Rumi. 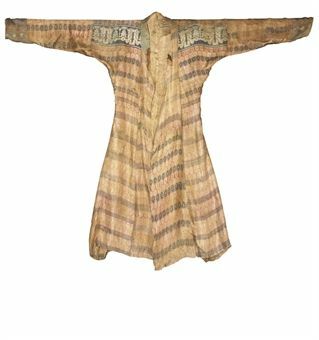 It is written by the highly influential Sultan Walad and is thought to be in the hand of his scribe Muhammad Al-Qonawi. One of the best kept secrets of the Islamic collecting world, this private library was housed in the unlikely location of a top floor flat of an apartment building in Germany. 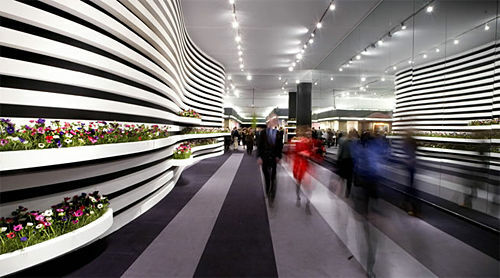 Other collectors knew it was there but nobody had seen it, or been allowed into the apartment for years. Elsewhere in the sale other works celebrating the importance of the written word range from the strength and elegance of a large 18th century Safavid Qur’an signed by the best calligrapher of the period Ahmad Al-Nayrizi, decorated extraordinarily with Qajar full polychrome illumination surrounding every single page of text (estimate: £70,000-100,000), to a fascinating 11th/12th century Seljuk silk lampas robe from Iran or Central Asia (estimate: £100,000-150,000) and a charming 17th century Iranian Safavid calligraphic lion (estimate: £4,000-6,000). 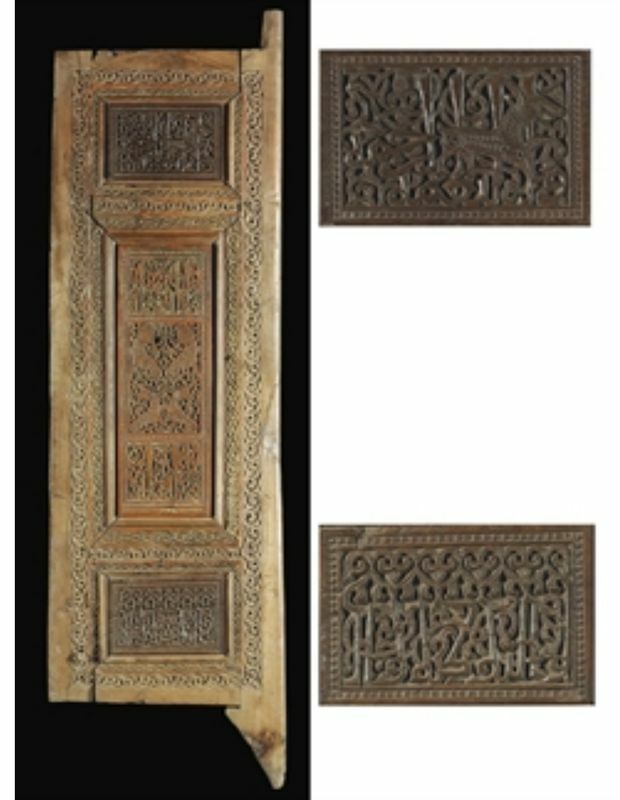 Large-scale works for architectural interiors are led by an inscribed 11th century Seljuk carved wooden door, with powerful depictions of lions and unicorns; this is a rare survival from North East Iran (estimate: £120,000-180,000). 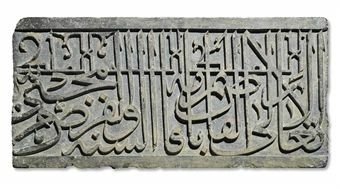 Other examples include two impressive 15th century Timurid carved grey schist inscription panels which originate from one single monumental calligraphic Iranian frieze (each with an estimate of: £60,000-£90,000) and a single line from the renowned 15th century Baysunghur Qur’an (estimate: £50,000-70,000). Lines from this remarkably large Qur’an are held in some of the most important public and private Islamic art collections around the world such as the Nasser D. Khalili Collection, the Museum of Ancient Iran in Tehran and The Metropolitan Museum, New York. 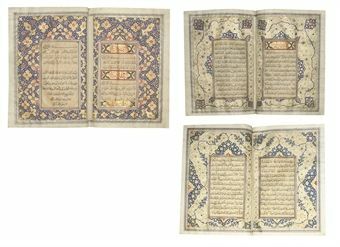 It is rare that segments of the Baysunghur Qur’an come to auction; when, in 2004, a whole page was offered at Christie’s London, it realised over half a million pounds. 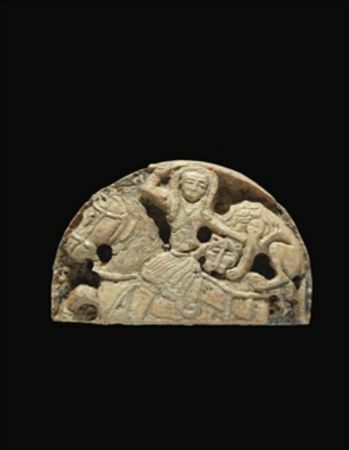 Amongst the rarest of all the treasures featured is an intriguing 12th century Samanid carved ivory roundel depicting a figure on horseback, from central Asia or Iran (estimate: £90,000-120,000). 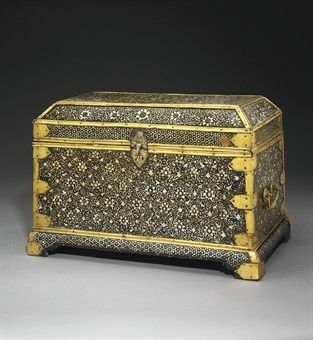 Prior to this example, which retains the faintest hints of gold, red and blue, there is only one known published ivory object from the medieval Iranian world: a pen-box, formerly in the Fischer Collection, Lucerne and the Stocklet Collection, Brussels. An important discovery to be offered in the sale is the earliest known Iznik bottle. 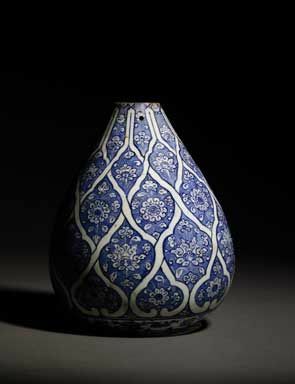 The Iznik blue and white pottery bottle base, which dates to Ottoman Turkey circa 1510, possesses a very strong design that completes when it reaches the neck (estimate: £80,000-120,000). 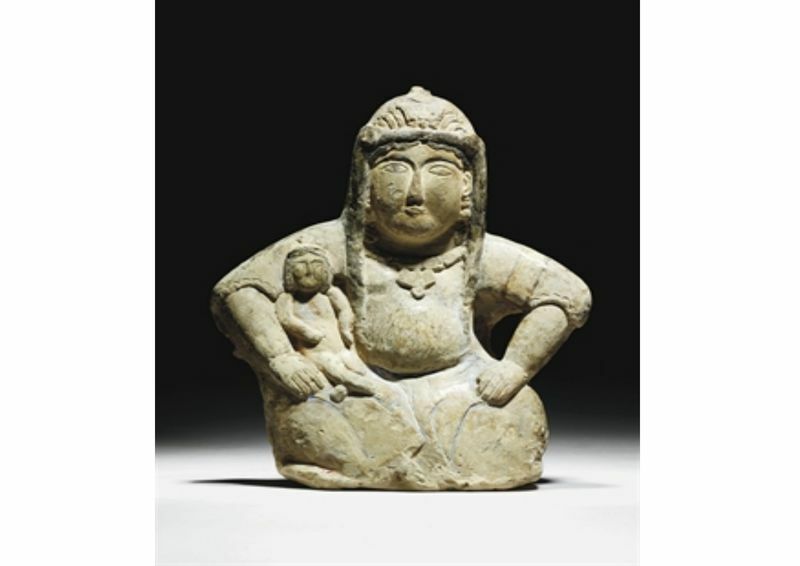 This was converted into the base to a lamp and recently brought to Christie’s where its true importance was recognized by Christie’s International Head of Islamic Art and Carpets, William Robinson. The shape of this bottle was developed into one of the most typical of all Iznik vessels. 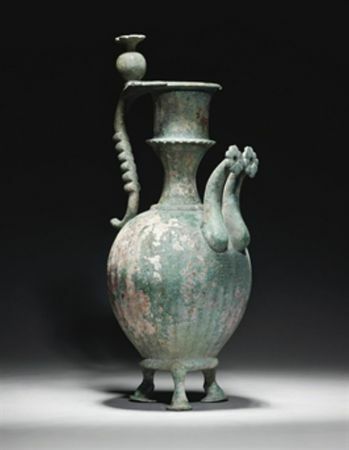 A large very early Islamic 8th century Iranian or Mesopotamian bronze double spouted green ewer is the most impressive example in existence (estimate: £35,000-50,000), whilst a monumental 12th/13th century Seljuk Mother and Child, from Iran (estimate: £50,000-70,000) is believed to have been part of a frieze which ran around the ceremonial room of a Seljuk palace. Decorative beauty is also exemplified in two stunning late 16th century floral panels, in pink silk brocade, from Ottoman Turkey (estimate: £50,000-70,000), one panel. Works from the Indian World feature two stunning Gujarat caskets: a 16th century Indo-Portugese motherof pearl inset wooden example (estimate: £50,000-70,000) and a 17th century mother-of pearl inlaid example from Western India (estimate: £50,000-80,000). 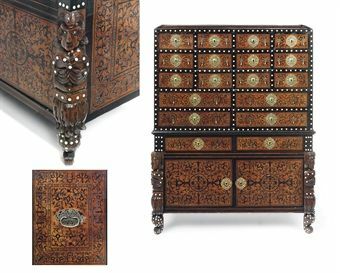 Further lots of decorative beauty and distinctive design range from furniture such as a 17th century Indo-Portuguese ebony and walnut inlaid cabinet on a stand, from Goa (estimate: £30,000-50,000) to sculpture: a majestic Mughal engraved brass falcon executed in North India or Deccan. Christie’s South Kensington sale of Indian and Islamic Works of Art and Textiles on April 3 2009 will feature approximately 500 lots of pottery, paintings, scientific instruments and manuscripts, sculpture, Qur'ans, paintings, silver, jewellery and weapons dating from as early as the 9th century. One hundred lots of Safavid, Ottoman and Qajar calligraphy and manuscripts from the collection of the library of Djafar Ghazi will also be offered. Leading the sale are magnificent pieces of late 19th century Cairoware, including a pair of early 20th century large Cairoware lanterns (estimate: £3,000-5,000); delicate calligraphy (estimate: £600-800); a panel of calligraphy, signed Imad-Al-Hasani, dated 1595 from the Property from the Ghazi Collection and a beautiful 19th century Mughal floral velvet floor spread (estimate: £10,000-12,000). 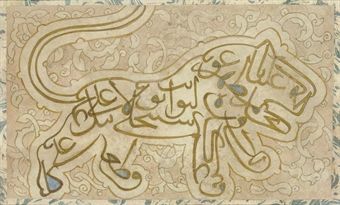 One of the defining characteristics of Mamluk art is calligraphy. With its monumental presence and elongated down-strokes it stands apart from the rest of the calligraphy of the Islamic world. The Mamluks are also particularly known for their production of richly inlaid metalwork. The silver and gold inlaid large brass bowl, made for the Amir Qaja, the Master of the Hunt of the Sultan Al-Malik Al-Salih Al-Salih (1351-54 AD) (estimate: £80,000-120,000) is a remarkably impressive example which combines both qualities. The interior of the bowl is decorated with a sea of whirling fish; a feature which is not exclusive to the Mamluks of Egypt, but also found elsewhere in the art of the period. It has an obvious decorative but also a strong symbolic significance, with its association with the sun and power. These features combine to make this bowl a political statement of strength and wealth, at the time of execution, and a masterpiece of Islamic art in the present day. 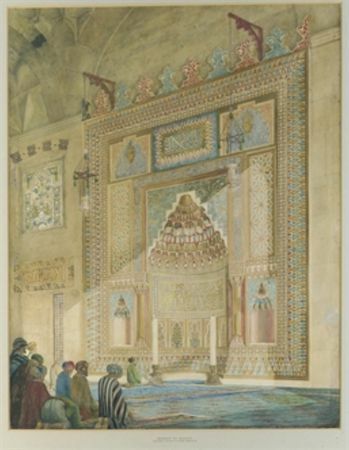 Offered for sale by the descendents of Edward Falkener (1814 -1896), this superb work is part of the medieval Islamic metalwork that Falkner proudly acquired whilst travelling to Egypt and Asia Minor to visit archeological sites, a trip which he recorded in works such as his watercolour The Mosque of Ballat. (estimate: £5,000-7,000). 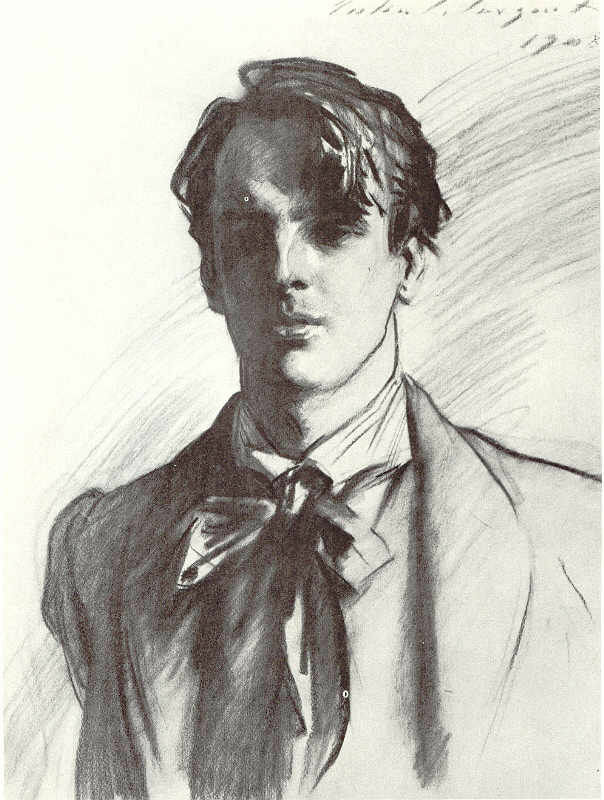 Such works provide a captivating insight into the accomplished man behind the collection.